Tour de Yadkin Archives - GetGoing NC! 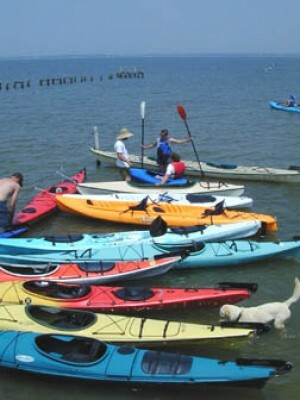 If you like to paddle, plan on calling in sick for most of June. And if you think you might like to try paddling, plan to take at least a day. This morning at 10 a.m., the Tour de Yadkin got underway on the Yadkin River, from the base of W. Kerr Scott Dam and Reservoir. 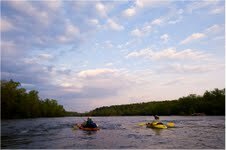 The Tour continues daily through the 23rd, with daily paddle trips led by Yadkin Riverkeeper Dean Naujoks and various related events. It’s an event suitable for veteran paddlers as well as folks who don’t know their bow from their stern. While a great paddling opportunity, the annual TdY’s primary goal is to expose the masses to the challenges the Yadkin faces, from fracking to fibrowatt. Each day will include time on the river — and something unique as well. Today’s 7.1-mile paddle, for instance, will be followed by a Historic Ghost Walk Tour on the Wilkes County Greenway led by Historian, R.G. Absher. Friday, there’s a 6.8-mile paddle planned, from Ronda downstream (we know, but we still feel obligated) to Elkin, followed by yoga, dinner and camping at Crater Park in Elkin. Saturday begins with breakfast and a one-mile hike on a freshly-minted stretch of the Mountains-to-Sea Tail, followed by a 5.7-mile paddle to the Carolina Heritage Winery for a tour, wine tasting and bluegrass concert. I’m challenged to think of a better way to spend a Saturday.